We collect PII via this website when it is provided to us. The PII we collect may include name, address, phone number, email address, or any other information provided to us. We use the PII collected via this website for business purposes, such as marketing, recruiting and hiring, responding to general inquiries or customer support requests, and in the course of providing services to customers. We retain the PII collected via the website indefinitely, unless otherwise specified, or until we delete the PII pursuant to a request from the subject of the PII. We collect non-PII on our website using cookies, web beacons, and tags for the operation of the site (e.g. managing user sessions), including analyzing site usage, detecting and preventing malicious behavior on the site, and improving the content and organization of the site. We also engage other companies that will use similar methods to collect non-PII on our website for analyzing site usage. We also use non-PII we collect to advertise our business on other sites, including through the Ipinyou Platform. When we do so, we act as a customer of the platform, using our own information, and we do not use or mix our information with the proprietary information of other Platform customers. You can learn more about the Ipinyou Platform in the Ipinyou Platform Privacy page, where you can also learn about how to opt out of having the Platform used by us and others for interest-based advertising. 1.Go to Settings > Privacy > Advertising. 2.Turn on Limit Ad Tracking. 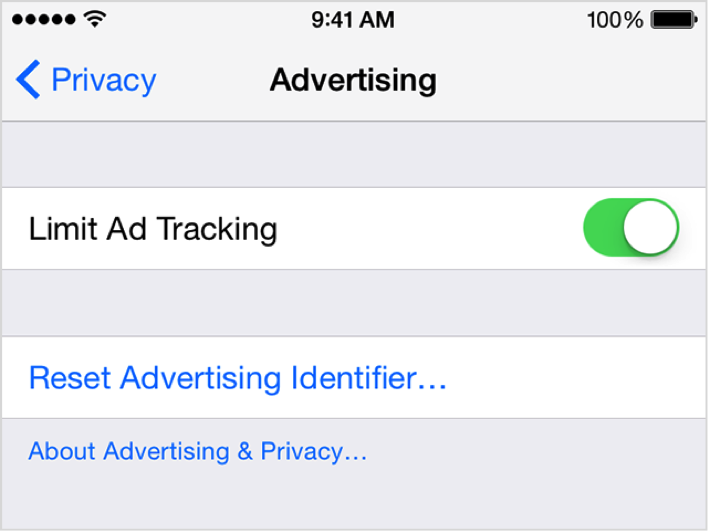 You can also turn off location-based ads on your iPhone, iPad, or iPod touch. 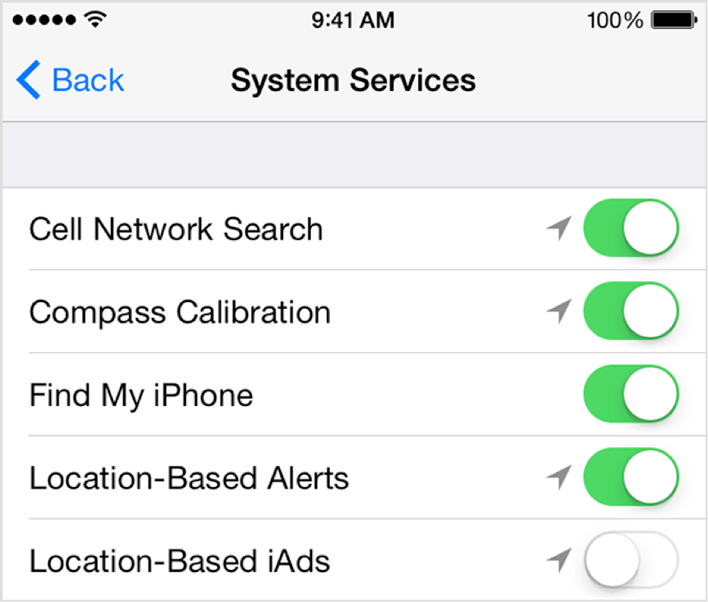 1.Go to Settings > Privacy > Location Services > System Services. You can opt out of interest-based ads by Google through Ads Settings. When you opt out, you’ll still see ads but they may not be related to factors such as your interests, previous visits to other websites, or demographic details. Ads Settings lets you opt out of ads shown to you based on factors such as your interests, previous visits to other websites, and demographic details on your computer’s browser. 2.Next to “Ads based on your interests,” click the switch if it's in the ON position. 3.In the dialog that opens, click the SWITCH OFF link to confirm your selection. 1.Go to Ads Settings at www.google.com/settings/ads/anonymous. The Ipinyou Platform allows clients to collect and use Platform Data.The Platform enables clients to use information provided by third-party sources. Clients and third parties use ID synching to enable the use of this information through the Platform. Ipinyou does not collect, use, or allow its clients to transfer to or use on the Platform, data that, by itself, directly identifies an individual, such as name, address, phone number, email address, or government identifier. Ipinyou uses the information collected on the Platform to provide, operate, manage, maintain, and enhance the Platform.The Platform enables Ipinyou's clients to use their Platform Data to buy and sell online advertising, including interest-based advertising, using real-time transactions. You have the option to accept or reject cookies. You can modify your browser settings to reject cookies. However, if you choose to decline cookies, you may not use the Ipinyou's service or functionality relied on cookies. Please click to choose whether to disable Cookies( Yes / No).